AMOCA’s Mettlach exhibition is made possible by Robert D. and Colette D. Wilson, who accumulated a huge number of Mettlach pieces over a 30-year period. AMOCA now houses their entire 3,000 piece Mettlach Collection, the largest collection of Mettlach wares (dating from c. 1840-1915) in the world. Currently we have several hundred pieces on display in the lower level of our museum. In 1836, a pottery founded by François Boch and located in Mettlach, Germany, merged with another founded by Nicolas Villeroy to form the famous ceramic company called Villeroy & Boch (V&B). By the late 19th century V&B had seven factories, but the one at Mettlach, most famous and celebrated for its production of steins, became known by the name of the village. 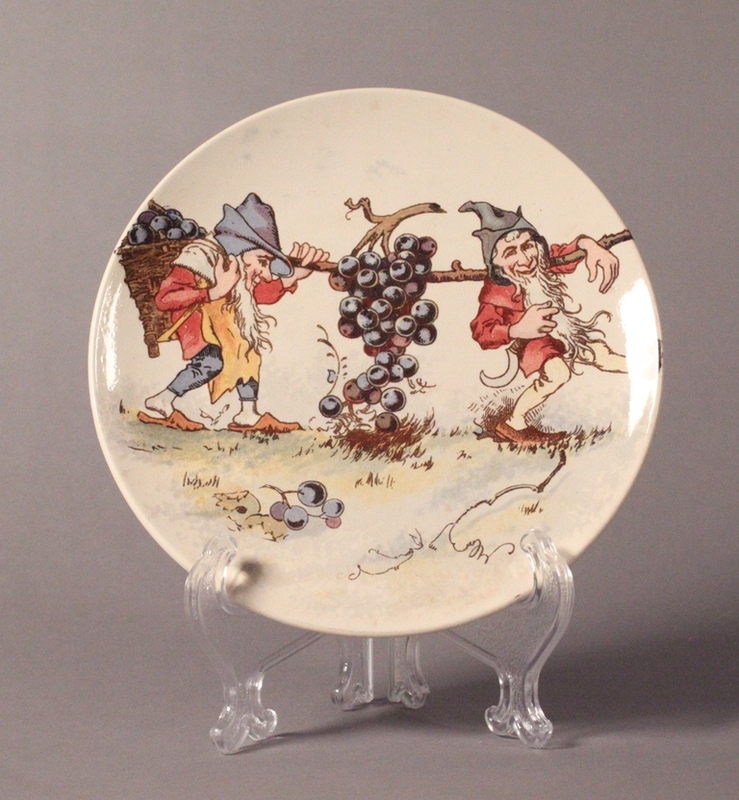 Mettlach also produced plaques, vases, jardinières, table wares, and more. Mettlach wares were exported to the U.S. by the late 19th century, including items made specifically for the American market. 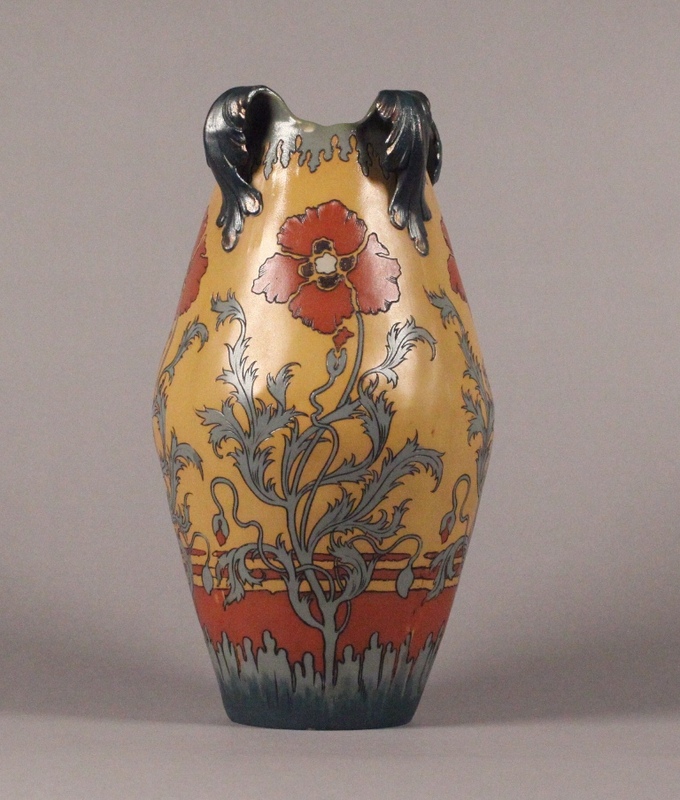 Displayed at the World Fair exhibitions in Philadelphia (1876) and Chicago (1893), Mettlach ware became even more widely known. Further, many steins, including those made by Mettlach, found their way to the U.S. with soldiers returning from WWI and WWII. As a result of these circumstances, a significant portion of the existing Mettlach pieces are located and collected in the US today. Currently we have a selection of Mettlach ware on display in the lower level of the museum. A number of different methods of production and decoration will be shown: slip casting, applied relief, etched, cameo, and printed transfer. In addition, a wide variety of themes and symbols will be represented. 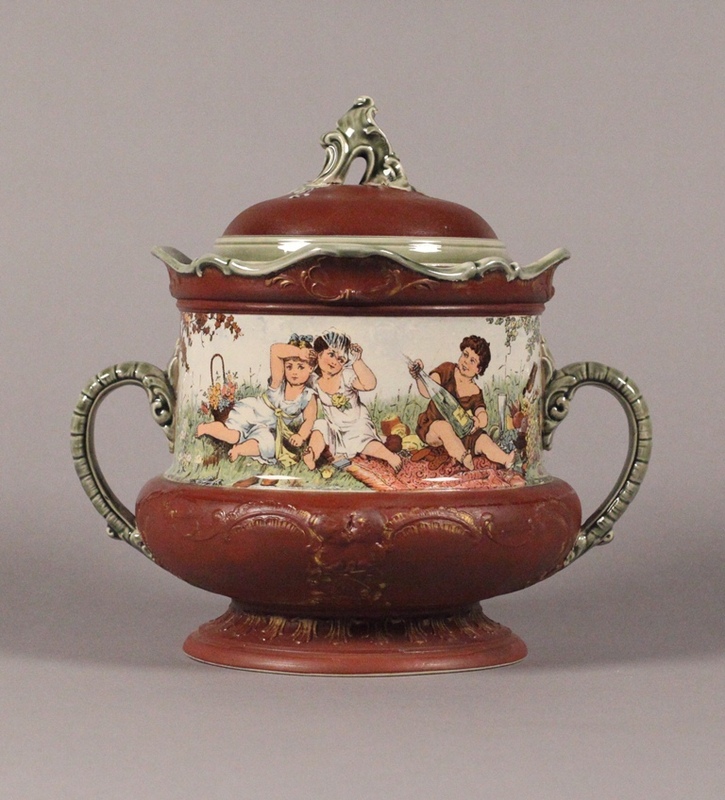 Terms such as Renaissance in spirit, or naturalistic are used to describe decorative embellishments on Mettlach ware. The works display folk scenes, legends, mythological representations, or Biblical stories, and the designs were inspired by a wide range of styles: Japanese, English Pre-Raphaelite, Delft, and even Art Nouveau. By placing these vessels within the context of social history we are better able to understand their function and importance. The social history of drinking over the past 500 years encompasses pleasure and pain, tradition and innovation, as well as extraordinary creativity in the decorative arts.